Product information "Machine scale SLW"
The mobile heavy-duty scale SLW is a weighing components system for stationary and mobile applications for weighing heavy parts such as machinery, containers or similar stationary loads. The ideal solution for easy and quick weighing of machines and machine parts or large containers at various locations. An estimate of the center of gravity of the sample and a separate evaluation of each module is possible. The system consists of 1-8 load modules with integrated force measuring cells.This has a capacity of up to 40 tons per module. 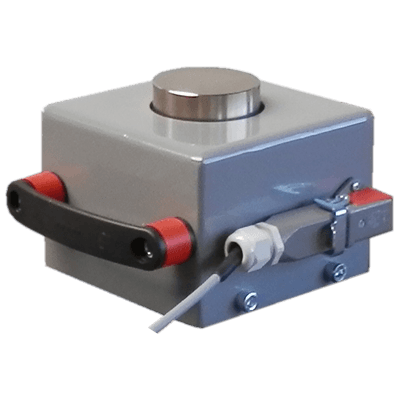 High quality load cells ensure accurate weighing. 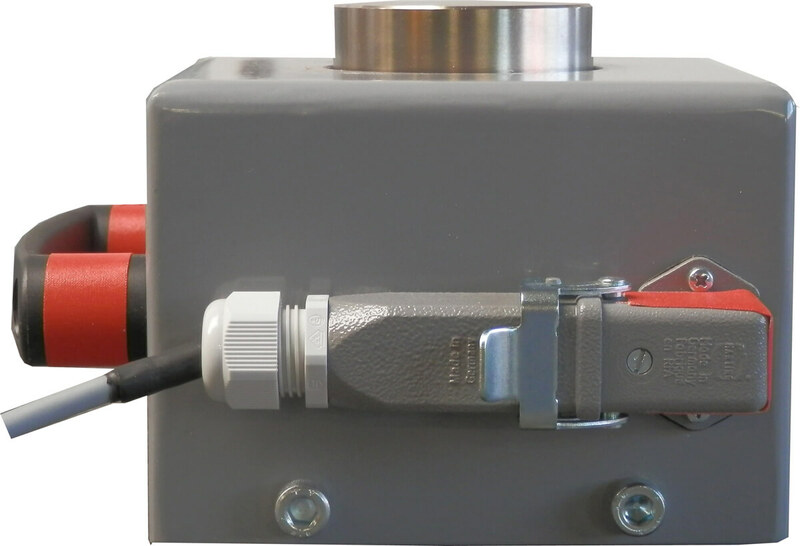 The Weighing modules are connected via a junction box with an indicator of their choice. 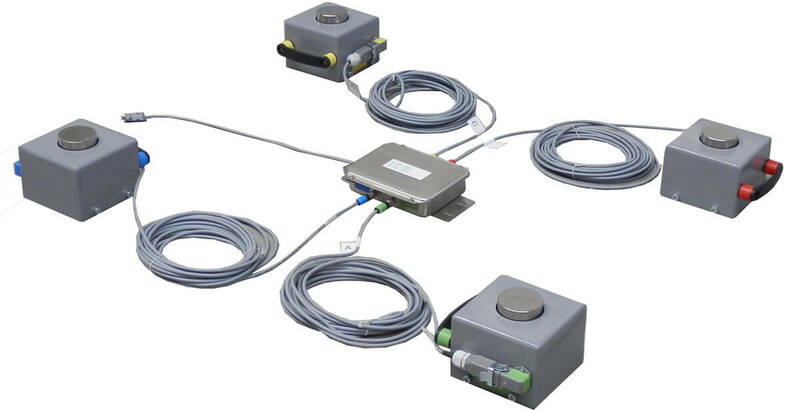 The robust industrial connectors ensure long life even in harsh applications. 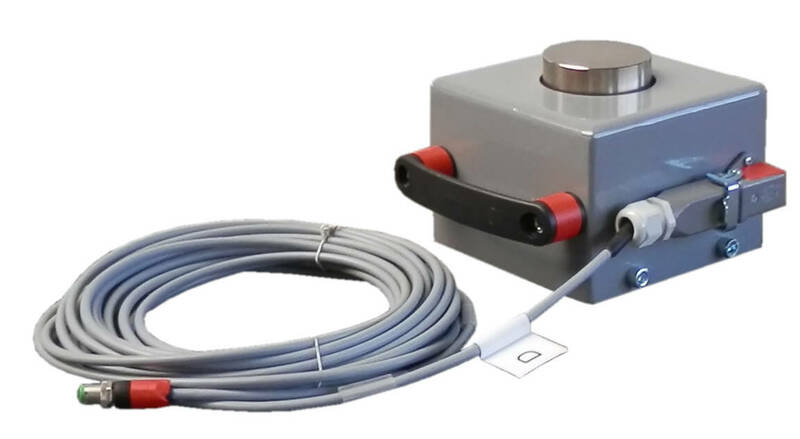 Weighing module size: L x B x H - 145 x 145 (180 with handle) x 125 (incl. load button) mm. Capacity: 10, 20, 40 tons per load module as standard. Special scales with a weighing capacity of up to 100 tons or a larger platform are available on request. Installation of the weighing modulesunder load and connect to the cable box. 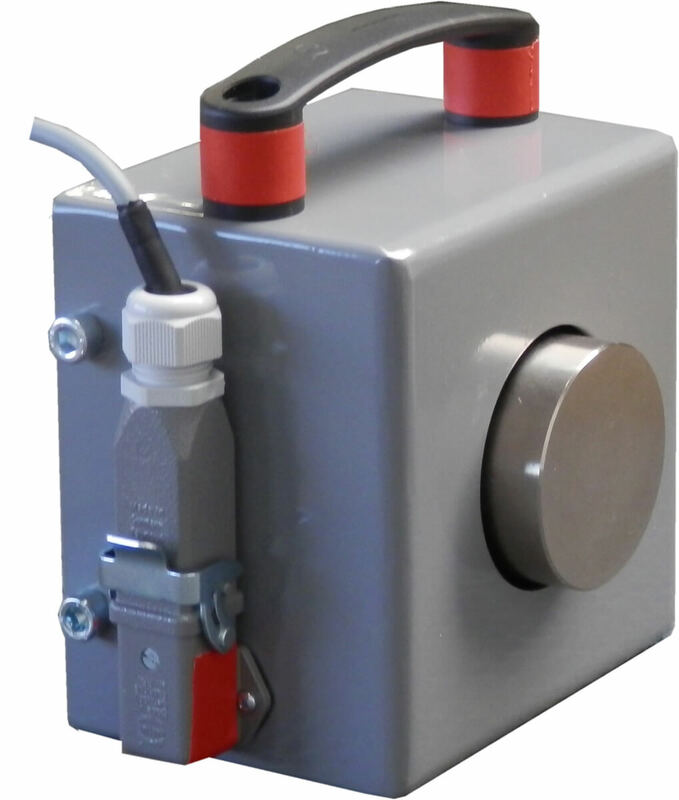 The load corners are equipped with high quality strain gauge load cells. The machines scales are equipped with battery as standard (mains charger included). The rechargeable battery provides a current-independent weighing. Related links to "Machine scale SLW"